Adolfson & Peterson Construction (AP) proudly participated in the grand opening of the new City of Aurora Police and Fire Safety Training Center (CAPSTC), a joint state-of-the-art training center. This was truly a team effort: police, fire, communications, public works, IT… all the folks who were involved to put this project together in really great detail was based on all of us working together to make this project a reality. 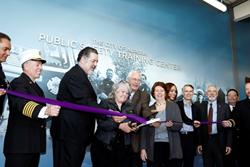 Adolfson & Peterson Construction (AP) proudly participated in the grand opening of the new City of Aurora Police and Fire Safety Training Center (CAPSTC), a joint state-of-the-art training center. More than 200 people gathered for a ribbon cutting ceremony and to tour the new campus. Dedication speeches were made from Councilwoman Barb Cleland, City Manager Skip Noe, Fire Chief Garcia, Police Chief Nick Metz and Regional VP Tom Horsting with AP. This 23-acre campus project includes four separate buildings: a 43,366-sf education and training building with office and conference areas; a new 7,000-sf, five-story drill tower structure; an on-site pump house; and a 3,500-sf class-A burn building. The design-build team includes architect Studiotrope and engineer Elliott, LeBoeuf & McElwain. 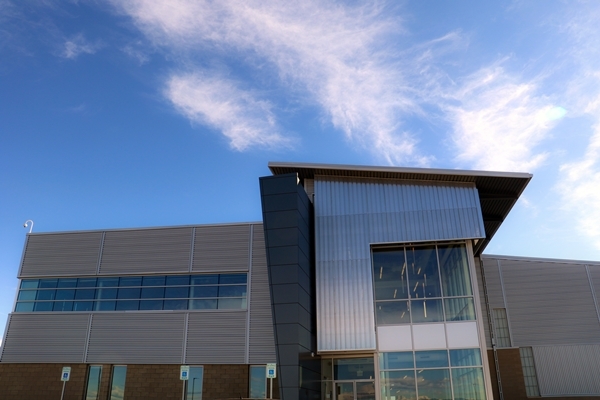 The campus now serves as a joint-training facility for City of Aurora’s Fire and Police Departments, what Councilwoman Barb Cleland described as a “must-have” for the City. These public safety entities are now able to train and operate together to be more effective as a team on the drill field when responding to emergency scenes. In addition, the site location is next to Arapahoe County’s driving track and sheriff’s office for future collaborative training opportunities with other agencies. The site will accommodate future growth plans including a 7,700-sf tactical/search/rescue structure; a 34,500-sf five-building tactical village; and a training site that will include vehicle extrication, trench simulation and haz-mat training.